This is pretty cool and can save floorspace. My flip table I built a couple years ago. 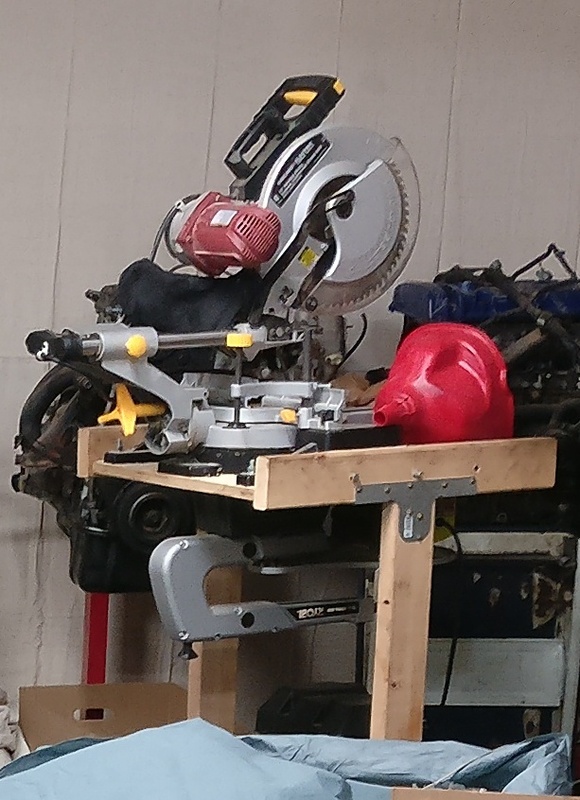 Miter saw on one side, scroll saw on the other. Base (not pictured) has storage for saw blades and sometimes is used for heavy things like cylinder heads, batteries, or 220V motors. It's on locking caster wheels. Honestly I'm surprised I don't see this idea more often. Everything in my shop is dual purpose or reconfigurable.